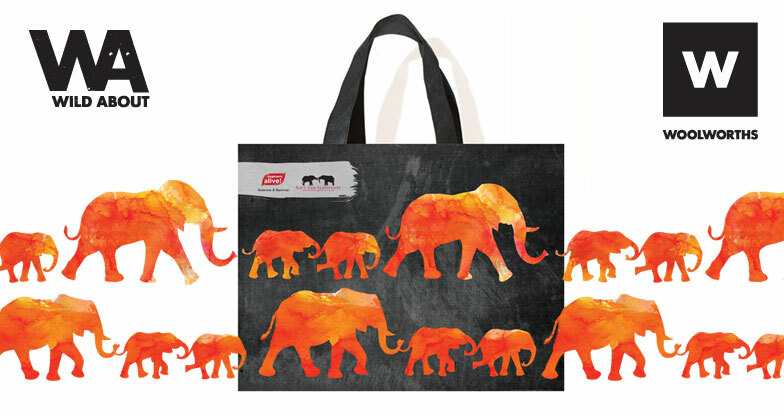 Carry this bag to show you’re WILD ABOUT ELEPHANTS! As part of their Good Business Journey, Woolworths is proud to support initiatives to conserve Africa’s endangered species. Through partnerships with their customers, MyPlanet and conservation organisations, Woolworths is increasing awareness of threats to South Africa’s biodiversity, while actively supporting conservation projects in South Africa. 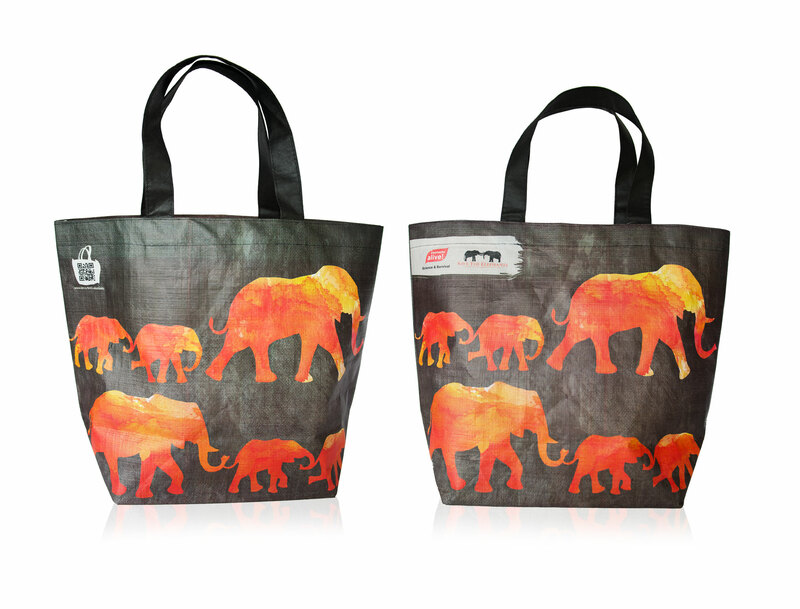 Through the sale of each bag, Woolworths donates R10 to the Elephants Alive Fund to support their elephant conservation work. Elephants Alive contributes to long-term survival of the African elephant, thereby maintaining the vital natural diversity of our world. If elephants are to survive, we need knowledge and an intimate understanding of their movements and needs. Our quest involves delivering research solutions, that acknowledge elephants as an integral part of the ecosystem they occupy. We work towards achieving a greater understanding of the complex relationships that elephants have with each other and their surroundings, including the people with whom they share their world. 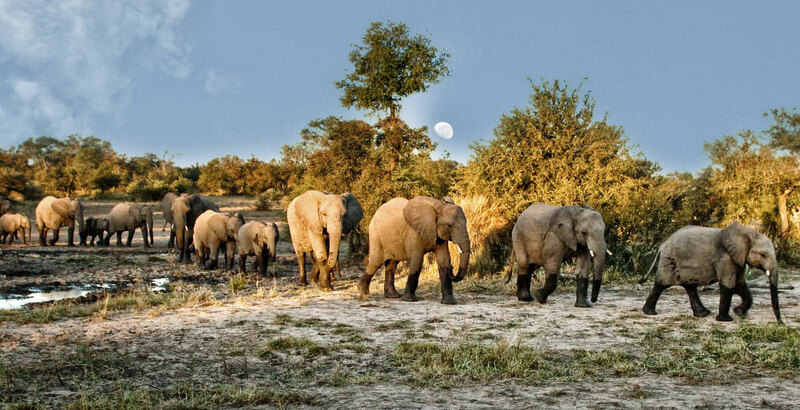 Elephants are vital components of functioning ecosystems. So too are large trees which function as nutrient pumps and air filters. 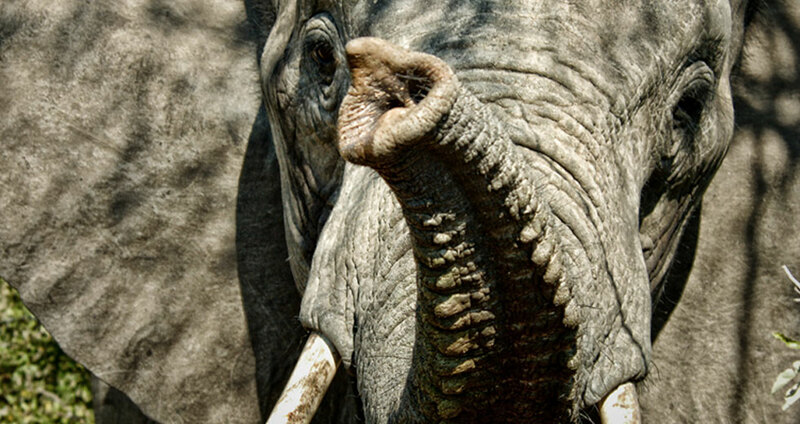 Bees however can be used as natural deterrents to protect trees from elephants, while also providing food security to both people and other species. When and where will the project be initiated? 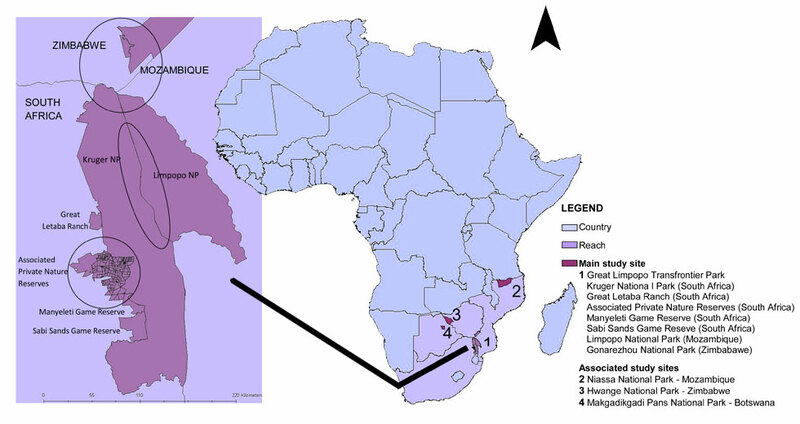 The elephant-tracking component of the project started in 1998 in the Associated Private Nature Reserves that border the Kruger Park, when elephants were fitted with hi-tech satellite collars to monitor their home ranges. Large trees within elephant home ranges have also been monitored since 2004. The ‘Bee-alive’ tier of the project will be initiated on selected sites in the area, beginning in 2015. How will the funds be used in furthering this project? Conducting vegetation surveys to monitor the effects of elephants on trees within bee-protected areas, against control areas where there are no bees. How can I get involved in supporting this project? 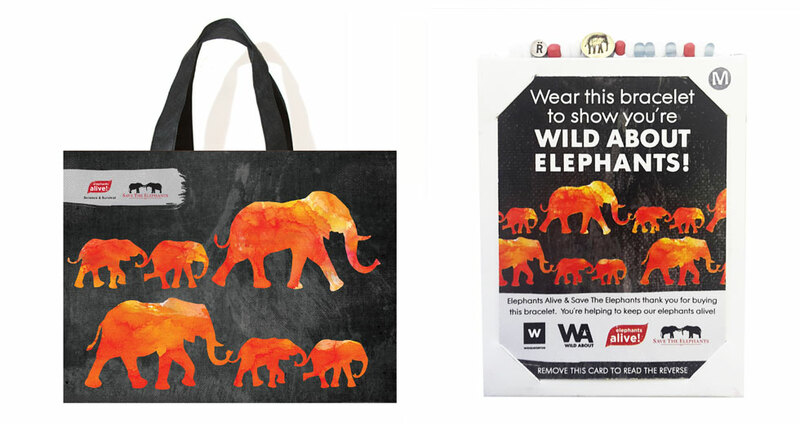 By purchasing the ‘Wild About Elephants’ Woolworths bag and the matching Relate bracelet, you have already recognised that we need to do all we can to protect our elephants, bees and trees. 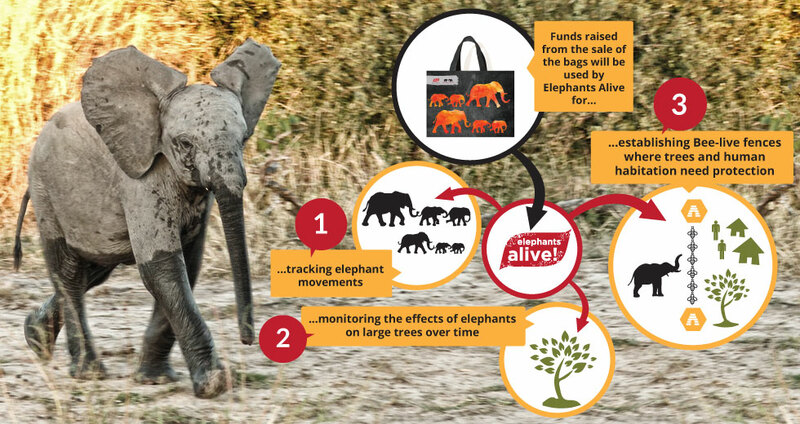 Carrying your bag and wearing your bracelet, you will be playing a vital role in spreading the word to help create awareness round the importance of maintaining ecosystem integrity with elephants, bees and trees. You can also sponsor the construction of a beehive that will be engraved with your name and we’ll keep you updated with news on your hive! You can sponsor a particular elephant that we need to collar and ‘adopt’ this animal for the duration of collar. We will keep you updated with news on your elephant! You can ‘adopt’ a particular large tree that will be protected by beehives and your funds will cover the costs of the research monitoring of the tree over time. We will keep you updated with news on your tree! This short movie filmed by Dr Lucy King shows a typical playback experiment conducted in Samburu Game Reserve. Here the Rivers family rest peacefully under a tree until the hidden, camouflaged speaker to the right of the image starts to play disturbed bee sounds. The family’s reaction to bees has been seen time and again in other elephant families and this behavioural discovery has formed the core research in our attempt to understand how elephants would react to live bees used to protect farmers’ fields.